Grace Villa - Ruth's Story from Brenda Phillips on Vimeo. This video was shot in 2014, about a year after Grace Villa opened its doors. Lots has changed since then. The number of girls living within the home has grown to 24, Grace Villa supports over 200 girls, and offers more programs. But besides all this and more, the essence remains the same - as hope, joy and warmth still envelope the home. Our children come to us in different ways. Some brought by the police, rescued from child traffickers. Some come through our gate on their own, escaping from abusive situations or from child headed households. Others from living on the streets. The transformations that we witness are amazing. Feeling wanted, loved and valued is the basis for a healthy emotional life. Such feelings are normally rooted in family relationships, healthy structure, nurturing...and the confidence in knowing you will be loved no matter what. This is where Grace Villa steps in. We exist to ensure that each girl feels safe, nurtured, empowered and given an opportunity to rise above her past and her environment. ​For most of our girls, life before Grace Villa was a fight for survival. They are now safely home. Grace Villa is a lovely home nestled on Makanga Hill, surrounded by rose bushes and shrubs, green lawn, vegetable and herb gardens and towering trees. Kabale, famously dubbed "The Switzerland of Africa" in the colonial days of old by Sir Winston Churchill, is situated along the South Western border of Uganda. All classic picturesque requirements here: thick white mist parts every morning to reveal valleys, lakes and streams surrounded by lush bright green terraced hills. 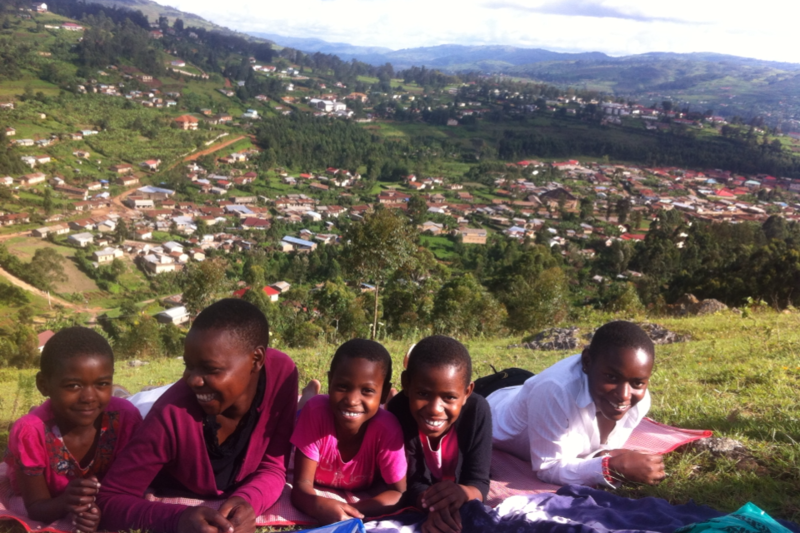 Inside, the home is kept cozy on a typical cold Kabale evening by warm fireplaces and the sounds of our girls giggling between homework and supper time.